Go back to the July 22nd post. 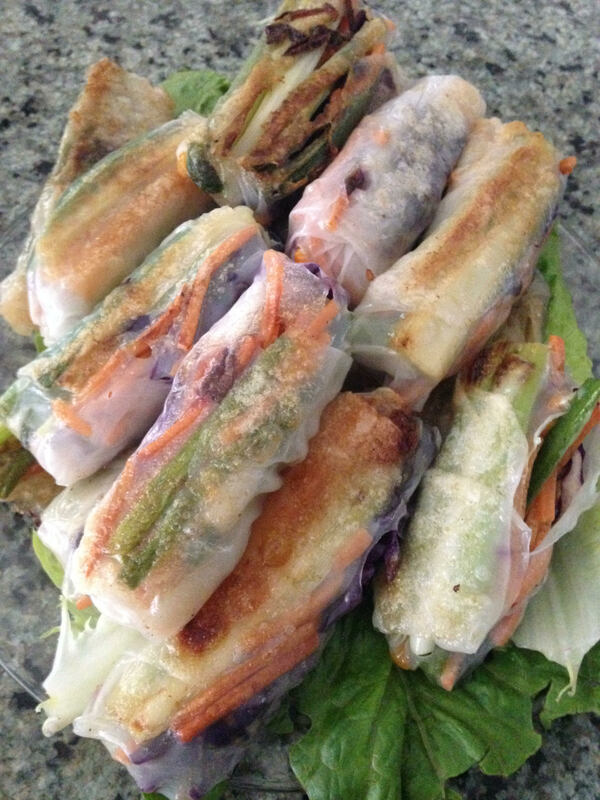 It is the post on vegetable rolled rice paper rolls. Since then I have rolled shrimp, seasoned pork and a ton of different vegetables. My family loves these things and the dipping sauces are a bonus. After a day or two the rice paper gets hard and since I never throw anything out, I decided to pan fry them. Take a couple of tablespoons of sesame oil and heat it in a frying pan. Place the rolls in the hot pan and don’t touch them till they are brown on the bottom then turn over and brown the other side. Don’t let them touch in the pan because they stick together. Totally different twist on the same recipe. I made two dozen and they disappeared.